I seriously cannot wait for this film. It looks amazing. Here is the final trialer for the film, which shows tons of action and new material we haven’t seen in the other trailers. 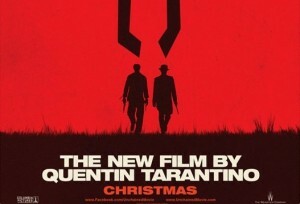 ‘Django Unchained’ will open this Christmas. 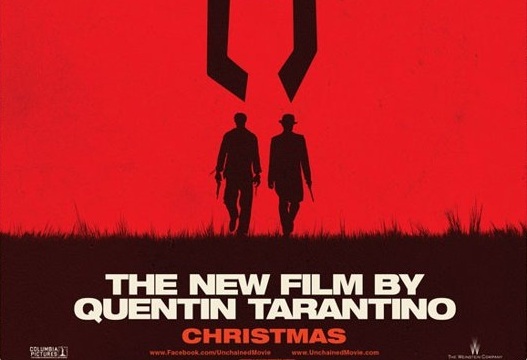 Add to that, the soundtrack listing has been announced and as we have come to know over the years, Mr. Tarantino knows his music, and by the looks of this soundtrack, it’s going to be incredible. Can’t wait to get my hands on the vinyl. Press release below with trailer and Soundtrack info. The Weinstein Company, Quentin Tarantino and Loma Vista Recordings today announced the release of QUENTIN TARANTINO’S DJANGO UNCHAINED ORIGINAL MOTION PICTURE SOUNDTRACK. DJANGO UNCHAINED marks the first time that Academy Award®-winning and Grammy® Award nominated director Quentin Tarantino has collaborated with artists to create original music for use in the film and original motion picture soundtrack. The soundtrack will be in stores and at all digital retailers on Tuesday, December 18th. The film release of DJANGO UNCHAINED will be on December 25, 2012 by The Weinstein Company in the U.S. and by Sony Pictures internationally. QUENTIN TARANTINO’S DJANGO UNCHAINED ORIGINAL MOTION PICTURE SOUNDTRACK features new and exclusive original music and compositions from of the most prominent figures in film and music today including, Rick Ross’ “100 Black Coffins” produced by and featuring Jamie Foxx, John Legend’s soulful offering “Who Did That To You?,” “Ancora Qui” by Honorary Academy Award Winner Ennio Morricone and Elisa, and Anthony Hamilton and Elayna Boynton’s poignant duet “Freedom.” The complete tracklisting for QUENTIN TARANTINO’S DJANGO UNCHAINED ORIGINAL MOTION PICTURE SOUNDTRACK can be found below. The official trailer for DJANGO UNCHAINED, featuring music from Rick Ross, will premiere on the homepage of Yahoo! today. Written and directed by Academy Award®-winner Quentin Tarantino, DJANGO UNCHAINED is produced by Stacey Sher, Reginald Hudlin and Pilar Savone. The executive producers are Harvey and Bob Weinstein, Michael Shamberg, Shannon McIntosh, and James Skotchdopole. This entry was posted on Thursday, November 29th, 2012 at 11:11 am	and is filed under Film, Music, News. You can follow any responses to this entry through the RSS 2.0 feed. You can skip to the end and leave a response. Pinging is currently not allowed. « See What’s Showing at Sundance 2013!!! Yellow then red. Yellow then red. Yellow then red. Yellow then red. Yellow then red. Yellow then red. Yellow then red. Yellow then red. Yellow then red.